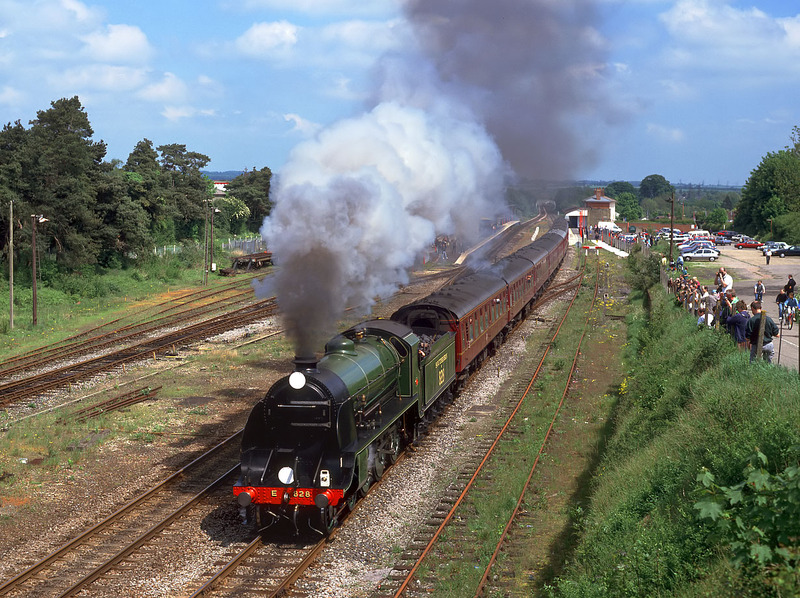 Southern Railway S15 4-6-0 828 is watched by an appreciative group of locals as well as the inevitable railway photographers as it leaves Andover station on 15 May 1994. It was working a Waterloo to Salisbury charter, outward via Andover and returning via Southampton. There is still plenty of trackwork at Andover, although judging from the colour of the rails on the right a lot of it sees very little use. The lines on the left are still in use, serving the Army depot at Ludgershall.